Wow! This looks delicious. 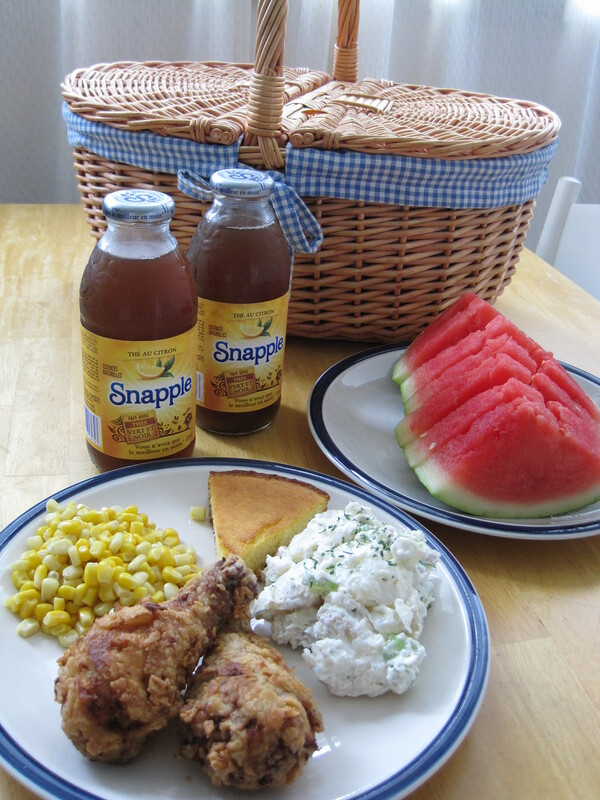 I love corn bread and am definitely going to try the chicken recipe. Hi Linda! Thank you so much for your comment! I am also happy to hear that you love corn bread! Would you be my taste-tester for corn bread? I’m hoping to experiment more with it and I need a corn bread connoisseur to help me with it! haha I wish I could go picnic with you too, Tes!!! haha squishyfishy, your comment made me laugh 🙂 When I was writing that post, I knew that I deserved a hard time for not making my own drinks 🙂 I only have large mason jars. I’ll keep my eyes open the next time I’m at a garage sale 🙂 And thanks for that Awesome tip about Classico jar lids being compatible with standard mason jars! I have a few of those in my pantry right now!